Having escaped a life of crime and conning, fifteen year old Katerina Bishop’s final goodbye to the “family business” was to scam her way into one of the most prestigious boarding schools in the country. At the school only a short while, Kat learns that leaving her former life is harder than she’d thought, especially when she’s framed for a school prank that has her expelled from the Colgan School. Reunited with her friend and co-conspirator, Hale, Kat learns that her con-man father has fallen into big trouble, accused of stealing a set of portraits only a master thief could pull off. Now Kat has two weeks to retrieve the paintings and save her father, putting together a crew of her own and creating her own little heist society. First, I want to say that Angela Dawe is an amazing reader for this audio book. Her youthful voice gave life to the characters, and she was able to alter her tone and accent enough to really infuse each character with their own separate personality and voice. Sometimes, all the characters seem to blur together with certain narrators, but Dawe managed to keep them all unique and apart in this Ocean’s Eleven for Teenagers. I listened to this book on audio, which was a really fun way to get into the story. I think this is an audio book that the whole family can really enjoy during long road-trips. There is a lot of globe-trotting: Paris to London, to Austria to Paris. There is a lot of wealth, and bling and talk of wealth and bling and pretty people to round it out. Despite all the wealth in this book, Kat remained a character that is strong yet vulnerable, insecure, but clever. I found her to be a fantastic lead character, able to put together one of the youngest heist crews to attempt to pull off one of the greatest heist of their generation. As a teen novel, there is the pre-requisite love triangle, and unrequited love plot-line, as well as the make-up of Kat’s crew. The pretty one (cousin Gabrielle), the dashing billionaire (Hale), the nerdy techie (cousin Simon) the loose cannons (the Bradshaw brothers), and the new addition (Nick). The story was easy to follow, very quick-paced. The dialogue is sharp, witty, although sometimes the kids sounded much older than their fifteen years. But then again, when you’ve been casing the Louvre at age three, and stealing the crown jewels of Austria at age seven, there isn’t much room to idly chew gum and flip through fashion magazines. Overall, I found this to be a really enjoyable book, Carter’s writing is witty, youthful and brilliantly composed. 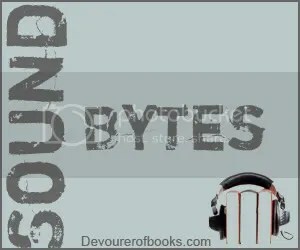 This entry was posted in Audio book, Blogging, Books, YA Lit and tagged ally carter, Book review, heist society. Bookmark the permalink.